Ok, Ok I won’t leave now! I’m just getting started! But let me tell you, this Vegan Cannoli Recipe is worthy of an Oscar! 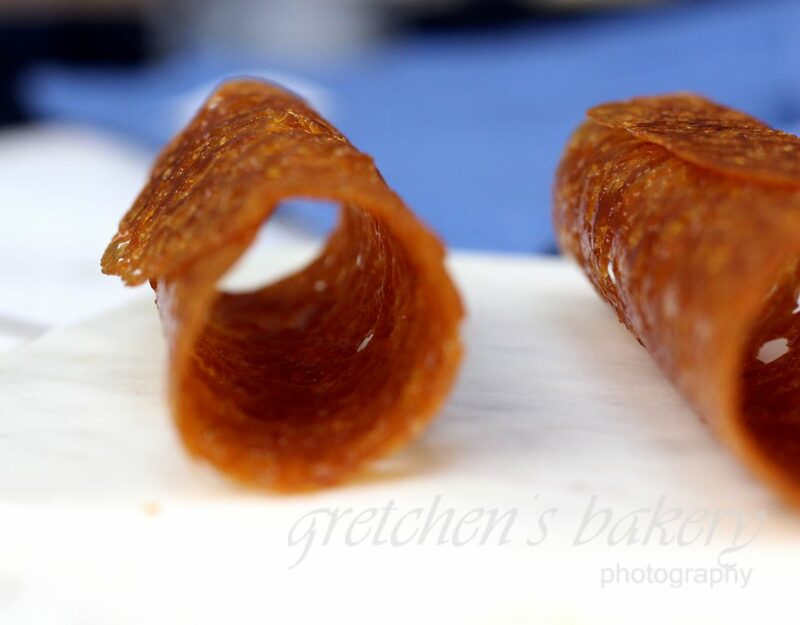 I actually have a story behind this unique “cannoli shell” and I will explain that first because I know right off the bat I will be getting some flack for not using a traditional cannoli shell. Many years ago I went out to dinner with a friend to her favorite Italian restaurant. I didn’t realize until I got there just how fancy this restaurant was. I was severely under dressed in the midst of diamond studded ladies and men in finely tailored suits. This place was boujee as boujee gets! So you can just imagine what the menu was like; (not vegan though, this was before my awakening) but it was top notch culinary fare that you would expect to get in New York City, not right smack in the middle of New Jersey! I honestly don’t even remember all these years later what I ordered for dinner, but one thing I will never forget is the cannoli. Cinnamon scented mascarpone cream stuffed into the most delicate honey lace cookie you could ever wrap your lips around. It was the most perfect cannoli I had ever tasted and then never tasted again. 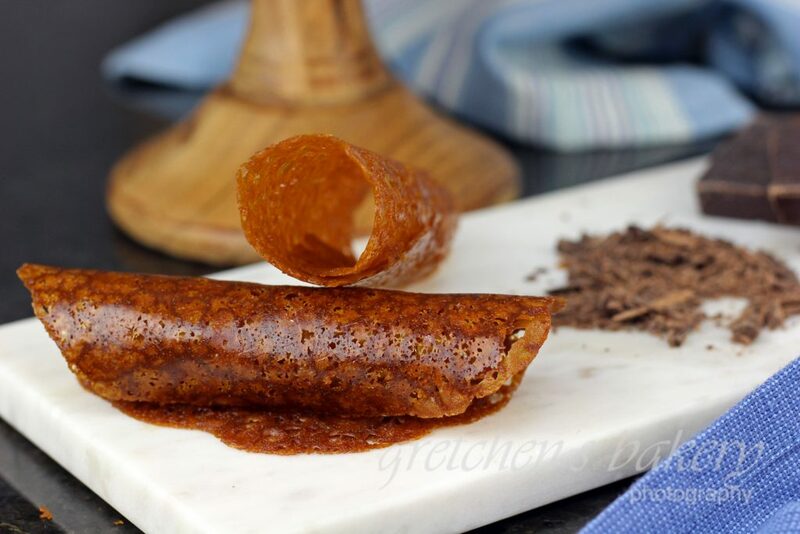 I have been working on recipes for several months trying to recreate the perfect vegan cannoli recipe. 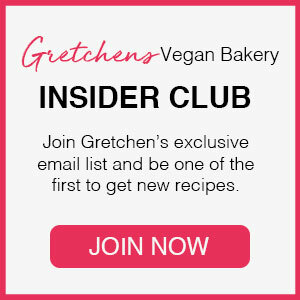 And it is here, for you, today….and Vegan .. of course. In order to replicate the crisp delicate cookie shell from that night, I decided to use my Brandy Snap Cookie recipe (*minus the brandy though!). A lacy, crispy, delicate cookie perfect for my equally amazing cannoli cream filling. I have been working on this recipe for several months, and with many fails along the way and I am now confident this is the winner. Behold the best Vegan Cannoli Recipe you will ever see, make or taste. You will need a silicone baking mat to bake the cookie shells, parchment paper will not work here. A non stick baking sheetwill be fine though. First to make the brandy snap mix. Not only because you only have 4 cannoli tubes, but because the cookies cool fast and forming them has to be equally fast, you will only want to make 4 cookies at a time. Spread 1 heaping teaspoon of the batter onto a silicone mat and spread it with a small spatula to the best round shape you can get. You can set up multiple sheet pans with the batter, but bake 1 sheet pan with cookies on it at a time. Remove from the oven and let cool just until you can get a small spatula under the cookie and immediately wrap it around a metal cannoli tube and let cool the rest of the way on the tube. *If the cookies cool too fast while you are trying to roll them, you can always place the pan back into the oven to get it hot again and attempt to roll it once more. Prepare the cannoli cream by combining the vegan cream cheese, cinnamon, sifted confectioners sugar, orange zest and vanilla extract together and paddle it smooth by hand with a large spoon or spatula. Fold in the vegan ricotta cheese. 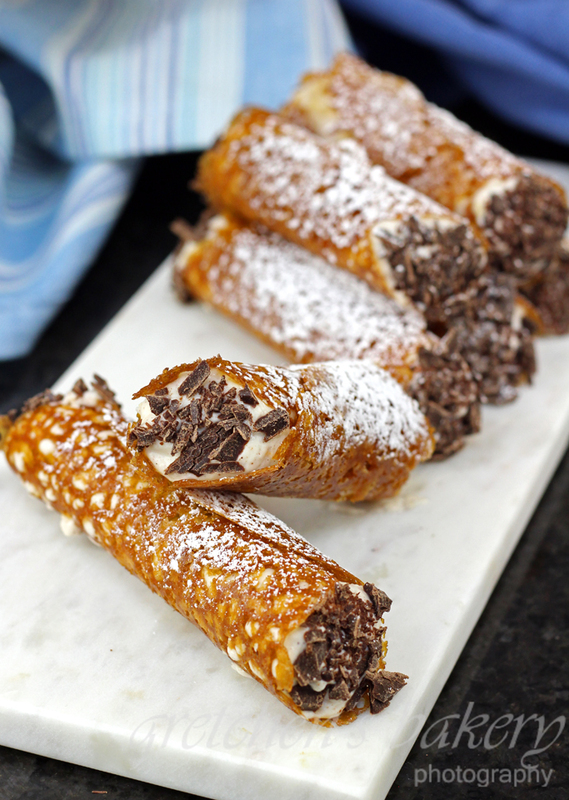 Fill the brandy snap cannoli shells and then dip the ends in shaved chocolate *optional. The cannoli cream recipe will stay fresh for up to 10 days in the refrigerator in a covered container, fill shells just before serving. To help offset the cost of making, testing and developing these recipes, donations in any amount are greatly appreciated! Thanks! Gretchen you are amazing, thank you for the recipe. This looks amazing. It would be my holy grail too as I’ve always loved cannolis. One question. Have you made it with another vegan ricotta (homemade)? I’ve read such bad reviews about it. I have not made homemade ricotta yet, but I am planning to launch an entire course for Homemade Pantry items (includiong butter, cream cheese, ricotta, ect…) this to go along with my Vegan Baking Mastery Egg Replacers course CLICK HERE to stay in the loop! Finally no lard/pork fat recipe. Can’t wait to try this recipe. I can’t find Tofutti Ricotta cheese anywhere only Kite Hill brand and you stated that brand didn’t work for this recipe. What other options do I have. Went to 3 different stores, imcluding Whole Foods and no luck. Not even listed on Amazon either. 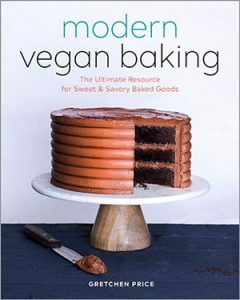 I am looking for a vegan cannoli filling to use for a cake.. trying to make a vegan cannoli cake. Do you think this would work as a cake filling? 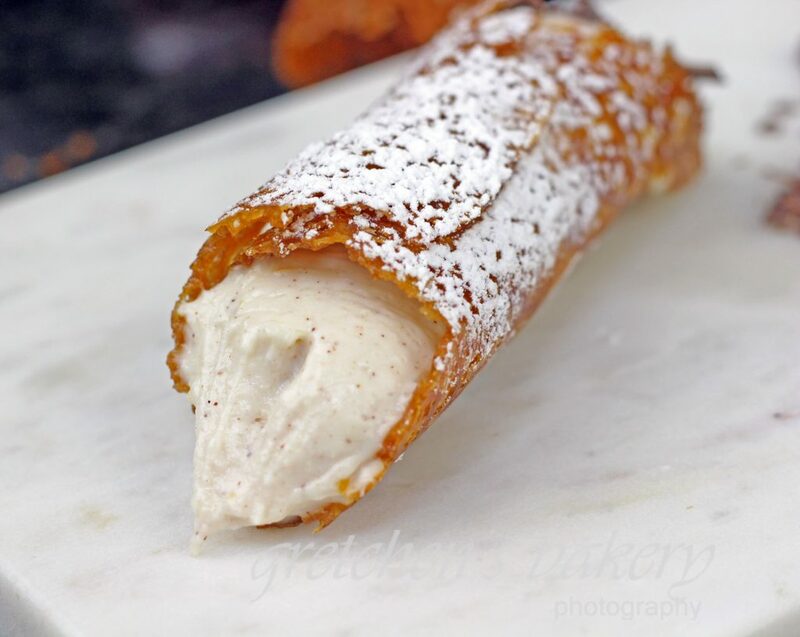 Can you clarify specifically why you don’t like Kite Hill ricotta for cannolis? You said it was awful in the video, but that you use it for lasagna. In a comment above, you said something about the acid. 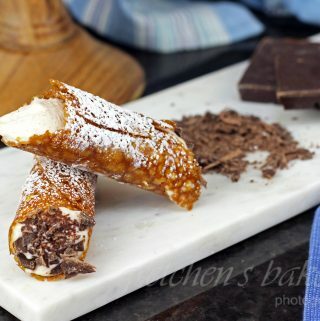 I am making cannoli for Valentine’s Day and can’t find Tofutti ricotta anywhere. It’s just the taste that I found to be off putting in sweet recipes. For savory though- excellent. The best. So I can only attribute it to the acid they are using in the Kite Hill. Of course “taste” is subjective and everyone is different, but I think if you taste the Kite Hill directly out of the package, you would see what I mean. Its delicious don’t get me wrong, but not for sweet recipes (in my opinion).